Treat problem skin in 3 easy steps! 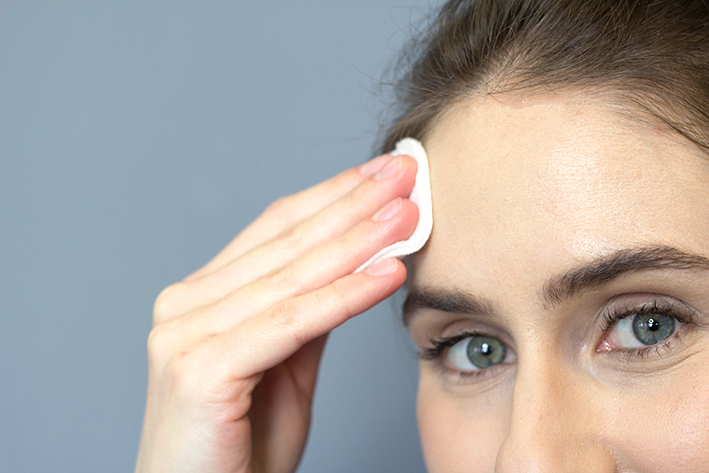 ** Clear Skin Exfoliating Pads contains glycolic acid, an alpha hydroxy acid, that may increase your skin's sensitivity to the sun and particularly the possibility of sunburn. Please limit sun exposure and apply Di Morelli SPF 35 while using this product and for a week afterwards. 2. Exfoliate: Clear Skin Exfoliating Pads will deep clean pores, prevent breakouts and create a smooth, even skin tone. 3. Hydrate: Oil free, Hydrating Gel will instantly soothe most skin irritations, and leave skin feeling refreshed and hydrated. Acne is a skin condition that can occur in almost any stage in life, on any area of the body. Most commonly found on the face, chest, shoulders and back, acne occurs when the hair follicle becomes clogged with oil and dead skin. There are various degrees of acne, ranging from mild to severe, with severe requiring treatment guidance from a Skin Specialist or Dermatologist. To help control mild to moderate forms of acne, Di Morelli has created the Acne3 Mini Kit. 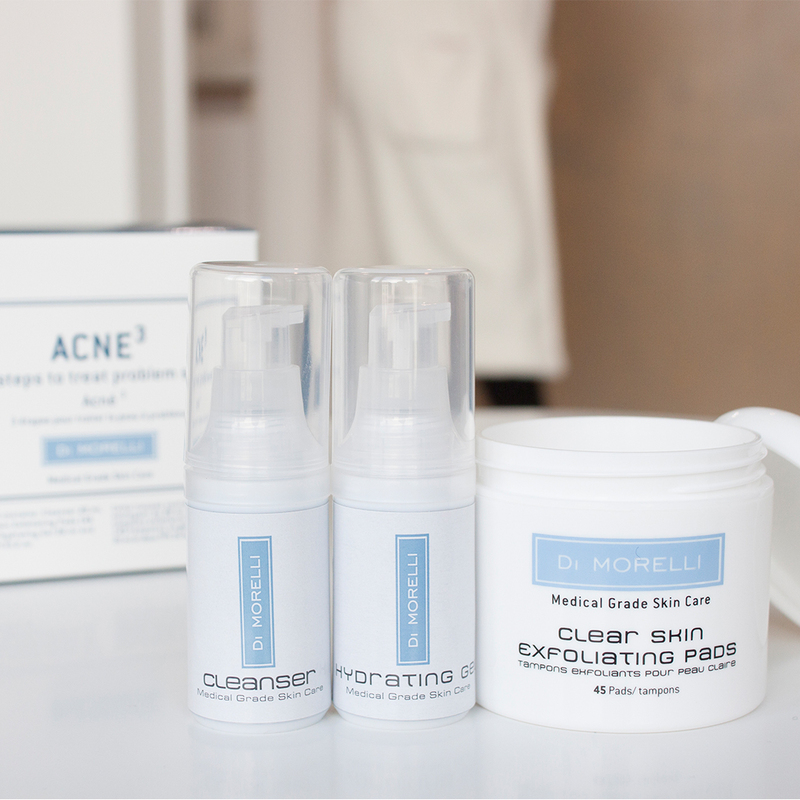 Purify, exfoliate and control acne breakouts, blackheads and excess oil in 3 steps.